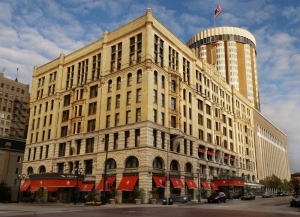 Built in 1893, the Pfister Hotel has been a downtown Milwaukee hotel icon for over a century. As one of the Midwest’s premier luxury hotels in Milwaukee, it continues to celebrate a grand tradition of gracious service and impeccable style. From the moment guests arrive they’ll notice the extraordinary architecture inside and out punctuated by a welcoming ambiance from staff and fellow guests alike.